The ailing former Bihar chief minister, who is serving sentences in fodder scam cases and is currently lodged in a Ranchi hospital, shared his views on his official Twitter handle. 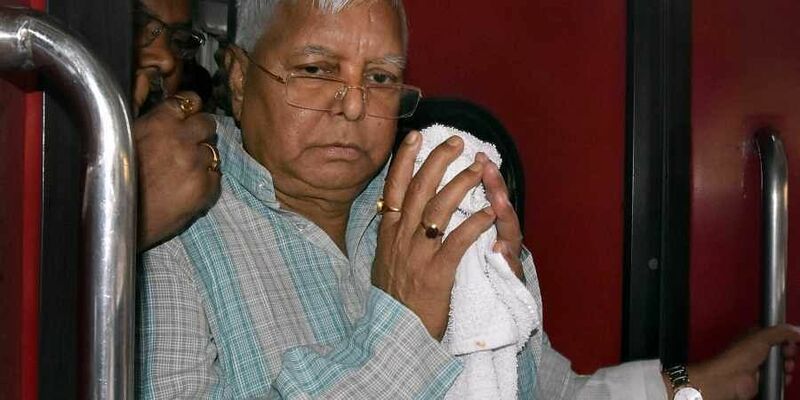 PATNA: RJD national president Lalu Prasad launched a veiled attack on the BJP on Sunday by issuing a "humble appeal" to the people of the country to be on guard against hate politics, rumour mongering and false propaganda to divide the youth ahead of the Lok Sabha polls. "It is a humble appeal to the people of the country that elections are round the corner and those practising hate politics will provoke the youth and your children to sacrifice their lives by raising false alarms, giving rise to misconceptions and spreading rumours," Prasad wrote on the microblogging website. The Rashtriya Janata Dal (RJD) supremo has been away from active politics since December 2017, when he was convicted in the Deoghar treasury case, which was followed by convictions in two more fodder scam cases. "While your children would be slaying each other and wasting their lives in the name of cow and cow dung, the kids of the hypocritical jumlebaaz would be busy studying in esteemed schools and colleges and securing their own futures," Prasad said. "Therefore, all parents and guardians are requested to be on guard themselves, besides guarding their children against rumour mongering sanghs (organisations) and their false propaganda. A beginning has been made by them in UP and Bihar," the RJD supremo added. Prasad's remarks came in the backdrop of mob violence and cow vigilantism reported in many parts of the Hindi heartland, often spurred by fake social media messages circulated by people with alleged links to Sangh Parivar outfits. A staunch opponent of the ruling Bharatiya Janata Party (BJP) and the Sangh Parivar, Prasad had endeared himself to the minorities when as the chief minister of Bihar, he had ordered the arrest of BJP veteran LK Advani during his "rath yatra" in 1990. He had also succeeded in weaning away the minorities from the Congress during the 15 years when the state was ruled by him and subsequently by his wife Rabri Devi, a period which saw virtually no major communal incidents, despite an overall soaring crime graph. Now an ally of the Congress, the RJD is miffed at the quota for the economically backward sections brought by the Narendra Modi government at the Centre. The party has held that it is a step in the direction of diluting affirmative action for the socially and educationally backward segments of the society.